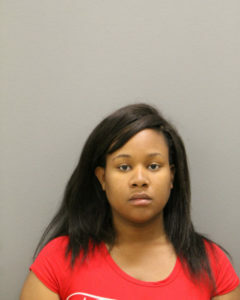 Johnson was arrested and charged after being identified as the person who struck a male pedestrian, 51, with her vehicle on the 7900 blk of S. Stony Island on May 28th, 2016 at approximately 11:10 p.m. before fleeing the scene. The victim was transported to Northwestern Hospital but would eventually succumb to his injuries. No further details are available at this time. 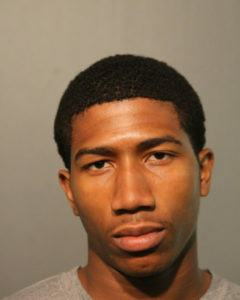 Madden and a male juvenile have been arrested and charged in connection to Robberies that occurred on the 3900 blk of N. Ravenswood, 3700 blk of N. Leavitt, 1800 blk of W. Patterson Ave and 1100 blk of W. Grace between 11:35 p.m. on May 29th, 2016 and 12:37 a.m. on May 30th, 2016. The offenders were positively identified as the individuals who displayed or implied a handgun and demanded property from the victims. Offenders were located inside a vehicle reported stolen on May 28th at 8:30 a.m. from the 2500 blk of W. Moffat St. No further information is available at this time. 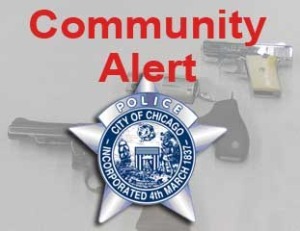 There have been recent Garage Burglaries in the 17th District (Albany Park) on Beats 1732 and 1733. In these cases, an unknown offender forcibly entered the victim’s garage and removed numerous tools, tool boxes, money, and other misc. property. 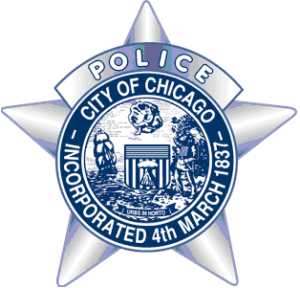 On 29 May 2016, at approximately 0130 A.M.- video of the two victims, depicts that they were being pursued by the above group at 700 N Lake Shore Drive. Victim account of one offender in the group being armed with a gun and attempting to rob the victims. Video also depicts several individuals coming over the east barrier wall of Lake Shore Drive immediately after the victims. Victims are then struck in the S/B lanes and offenders fled westbound on Superior.